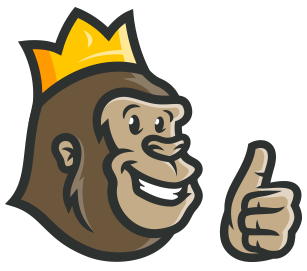 With so many online casinos in the world, designers have to be creative when they come up with names for new ones, which is why the Casino Gorilla ends up reviewing something called ‘VoodooDreams’! This casino is owned by a group called SuperPlay Limited, a group which is also responsible for Duelz Casino. 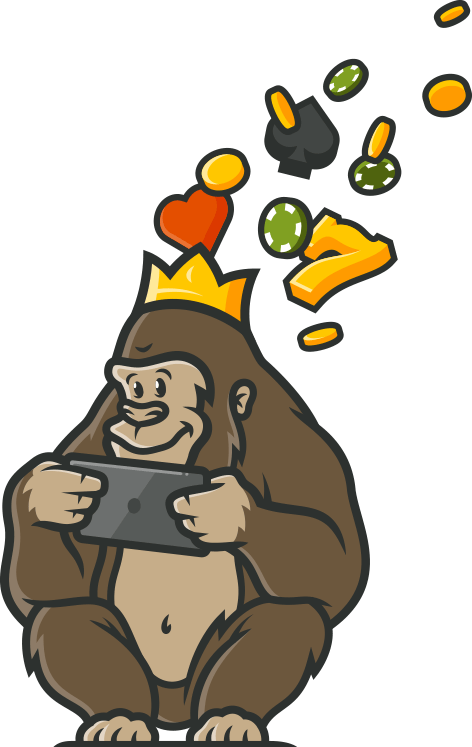 The name is interesting, but the Casino Gorilla is really excited by some of the special features to be found at this casino like Duels, Experience Points and Spirit Points. No voodoo doll of a stuffed gorilla was required to get him playing at this site. With a bonus of up to £1,000 along with 200 free spins up for grabs for new players, expect plenty of people to fall under the spell of this site. The offer is a pretty good one, with two 100% deposit bonuses and two more offering to add 50% onto your deposits. The 30 time wagering requirement on both deposit plus bonus is quite high but not ridiculously so. And there is also 20 free spins just for joining the site in the first place, which is always a good thing. This is a rewarding casino in different ways too, thanks to the Spell and Experience points you can earn, so there is plenty to be gained from signing up here. There are 20 free spins available just for registering with VoodooDreams, although this offer is not available for every country. They can be used on any of Starburst, Joker Pro or Wild Wild West. The remaining 180 free spins from the welcome bonus is parcelled out in batches of 20 a day. Anything you win from the free spins is treated as a bonus except the winnings must be wagered 40 times to make them withdrawable. Don’t worry about adding a bonus code along with your bonus, you won’t need one of these in order to claim your goodies. It may be required in future but if that is the case you will be notified in the terms of the offer. You will find around 15 live dealer games at VoodooDreams, which is not exactly a huge number but with at least a few different options. Blackjack, baccarat and roulette are the main games available, but you can find three variations of poker to choose from too if that is your bag. It is not a massive selection but the games come from the very well-respected Evolution Gaming, which is always a good thing. VoodooDreams Casino is well adapted for mobile play, as most modern casinos are these days. It’s tough to stay in business if your mobile game is not on point, but there are no issues in that regard with VoodooDreams. No matter if you prefer Android or Apple devices, you will be perfectly able to play your favourite real money casino games when you are out and about. The payment methods listed below may all be used to make deposits with VoodooDreams, although their availability varies according to your country of residence. There is a 2.5% fee charged on Visa and Mastercard deposits, but no charges are imposed on any other deposit methods. Withdrawals are also free, with the maximum withdrawal permitted being £1 million from Trustly. VoodooDreams aim to process withdrawals as speedily as possible, although you may be required to provide documents to prove your identity. VoodooDreams Casino holds licences from both the British and Maltese authorities. As these are two of the strongest gambling regulators out there, you know that you can play at this casino confident in the knowledge that everything is above board. The software is encrypted to make sure that all transactions proceed safely and securely. Games at this casino are regularly tested to make sure they pay out correctly and play fairly. The name of this casino may be a little fearsome, but the support you will receive from them is friendly and polite. The customer support team is on call around the clock, seven days a week, so if you need anything you can quickly and easily get in touch. Speak to them via email or live chat and they will be happy to assist. Not everybody will be able to live out their VoodooDreams as access to this casino is restricted in some territories. If you live in one of these countries you will not be able to join up: Australia, Belgium, Czech Republic, Denmark, France, Ireland, Poland, Portugal, Singapore, Slovakia, Slovenia, Spain and the United States. These are just some of the restricted countries, check the terms and conditions for the full list. VooddooDreams is about making dreams come true, and there is a whole lot to like about this clever casino. The selection of games is fantastic, and the same goes for the quantity of different payment methods available. However, the Casino Gorilla loves the extra features to be found at this casino. There are duels where you can battle a fellow player or take on the field when you enter a slots gaming competition. Plus there are Spell Points and Experience Points to collect as you play on the site, with both offering tasty rewards. Throw in that juicy bonus and you have got a casino which is going to earn a whole lot of new fans. Free spins and bonuses galore! Easy and fast payments made it a joy to play here. I will be returning to grab more bonus rewards and play the new games that pop up. Have used the site on my iPhone with no problems at all. Thumbs up!!! I got 200 free spins on my welcome bonus here, that more than any other online casino I have tried and really put a smile on my face. The site has another interesting feature where you can collect spirit points and experience points which can be used to unlock what they call spells. You can get rewards and bonuses using this. A refreshing and fun concept!